In order to provide viewers with their fair share of ad-free content, Google has finally announced its YouTube Red service. Let us see all that the service can offer. According to YouTube’s official blog page, October 28 is going to be the date when Google officially launches YouTube Red, a new membership that has been designed to show viewers an interesting array of content and that too without those pesky advertisements that end up killing the experience for millions of viewers. The source also states that the service is going to cost you $9.99 a month, and there are several features that are present in it that you will not find in the regular service. Starting off, YouTube Red lets save videos to watch offline on your phone or tablet and play videos in the background. The membership will also be extended to the recently launched Gaming app and a brand new YouTube Music app that company will also announce. The following has been stated on the official blog page of YouTube concerning YouTube Music. “Scare PewDiePie: In this reality-adventure series from the creator and executive producers of The Walking Dead at Skybound Entertainment and Maker Studios, experience thrills, chills and laughter as PewDiePie encounters terrifying situations inspired by his favorite video games. Sing It! : From Fine Brothers Entertainment and Mandeville Films comes SING IT!, a scripted comedy that lovingly satirizes the reality singing competitions that have become a centerpiece of pop culture. Untitled Joey Graceffa project: In this all-new reality adventure series, Joey Graceffa brings together an ensemble of top YouTubers for a murder mystery they’ll never forget. They’ll form alliances to survive, but little do they know that most won’t make it out alive. 360 Project from MatPat of Game Theory: YouTube educator and pop culture expert MatPat from The Game Theorists invites the audience to come along for the ride in an innovative new series and 360 VR experience. In each episode Matt explores the real-life science behind popular video games by throwing gamers into the high-stakes scenarios they play through every day, from water jetpacks to haunted pizzerias. Single by 30: In this romantic drama series from Wong Fu Productions and New Form Digital, two high school best friends make a promise to get married if they’re still single at 30. A decade later, with 30 quickly approaching, their attempt at upholding their vow unfolds in unexpected ways. Starring Harry Shum, Jr. and Kina Grannis. Untitled CollegeHumor project: Written by and starring the cast of CollegeHumor, along with special guests, this new anthology series will take a dark and comedic look at the absurdity of Internet culture. Fight of the Living Dead: In an unprecedented social experiment reality show from Alpine Labs, Fight of the Living Dead takes popular YouTube talent and traps them in a frighteningly realistic zombie apocalypse. They must use their instincts and gaming skills to survive as they battle the elements for the ultimate prize of survival. 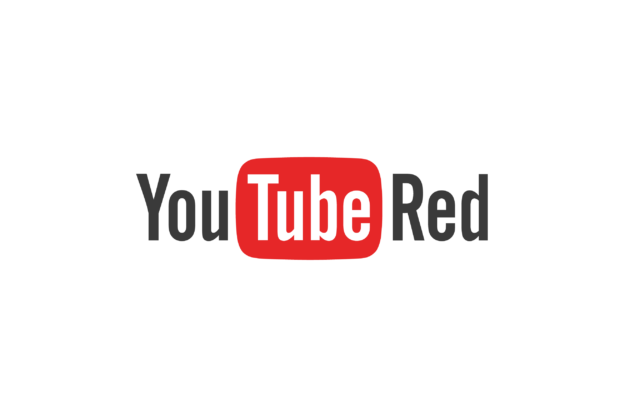 If you are residing in the United States, then you happen to be one lucky citizen because viewers in the country will be given a chance to try out YouTube Red for free with a one month trial starting from October 28. What do you think of Google’s new service? Do you think it will sufficiently generate more revenue for the company? Let us know your thoughts. Here’s How To Use AR Stickers On Google Pixel 2 And Pixel 2 XL In Seven Easy Steps! Google’s DeepLab-V3+, The Software Behind Pixel 2 And Pixel 2 XL’s Portrait Mode Is Now Open Source!